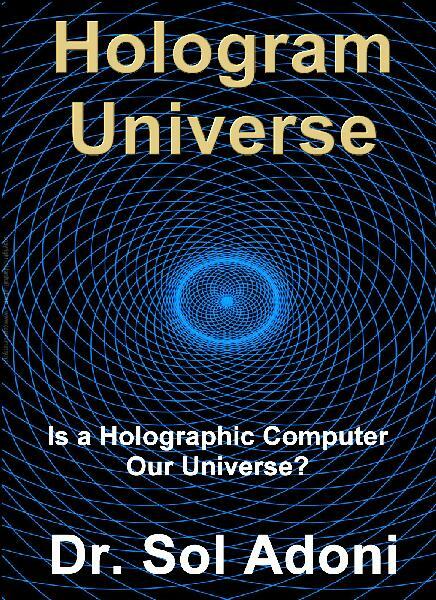 It is truly amusing to me to watch as humans are infatuated today with a few topics that proves my Hologram Universe Theory is correct and that theory is now over 40 years old. Basically, in the mid 1970’s I theorized how a computer using six dimensional math via a future computer processor based on the shape of a cube could create virtual realities of up to six dimensions and three dimensional beings such as humans could comfortably live inside such a virtual AI computer where ILLUSION would create realities such as that in which we all live. Today cutting edge physics is the study of such a concept, where our Universe is viewed as one created within a super AI computer. In such a Holographic Universe the rules would be what the AI computer used to create the ILLUSION of worlds such as ours. Even MIT has published a work on it and some media is giving it press such as the Huffington Post. Even though they all refuse to give credit to me since I theorized it in the mid 1970’s when explaining in a think tank how a six dimensional processor would work using a cube of data instead of binary data bytes. The Internet is now ripe with videos trying to grasp this concept as terms such as a FLAT EARTH and a HOLLOW EARTH are now quite popular terms and rather comical videos are getting hundreds of thousands and even millions of views as humans come to terms with their reality is nothing but a VIRTUAL ILLUSION. In such an illusion a FLAT EARTH and even a HOLLOW EARTH are entirely possible, since such realities would be allowed by the rules of the AI computer creating the illusion as well as our own illusion. All one needs to do to awaken to the fact that our world is pure ILLUSION is to venture slightly out into the vacuum and space and the ILLUSION is quickly fractured by the fact THERE ARE NO STARS IN SPACE. The human eye and even that of the optics of modern telescopes were created to view what is purely ILLUSION since the light from stars while visible through the way the designed optics our eyes and our atmosphere turns ENERGY from stars into LIGHT and allows us to view in awe the depths of the ILLUSION of the Universe. THE ILLUSION IS OVER as soon as one ventures into the vacuum of space and the light of stars DISAPPEARS. Well, stars are energy emitting spheres and when that energy reacts with our designed optics in our eyes with our atmosphere we perceive LIGHT and the reality is THERE IS NO SUCH THING AS LIGHT. LIGHT is what our brain perceives when energy interacts with the curved atmosphere of earth and the curved lenses of our eyes and even telescopes to view energy. Imagine in the near future, if humanity lasts long enough, when commercial space trips are a reality. You pierce the atmosphere of earth and look at the windows of a space craft and you see NOTHING. The reason is there is only an empty vacuum of space and the ILLUSION OF LIGHT disappears. Only then will you ask yourself, WHERE ARE THE STARS? Then the reality of how ILLUSION has been all your brain has known your whole life will permeate the depths of your soul and perhaps you pierce the veil of ILLUSION you were born within. So you don’t believe me that there are NO STARS IN SPACE? Here is a video of Neil Armstrong and other astronauts unequivocally validating what I’m writing and yet today NASA has clowns on ISS saying they see stars. Any stars visible from the ISS are due to the ISS is still in a partial atmosphere of earth where the pure radiation of stars can refract. So stars are only visible if an astronaut is in a field of high earth orbit with a minor amount of molecules to refract the radiation of stars. Once you get beyond the atmospheric molecule refraction the vacuum of space creates a velvet black backdrop as Armstrong and other astronauts have explained in this excellent video. Bottom line is stars do not emit LIGHT they emit radiation and you cannot see the energy without it being refracted from molecules such as from the atmosphere we are living in or a high obit partial atmosphere such as the ISS and satellites are in. Neil Armstrong stating stars are not visible in space. 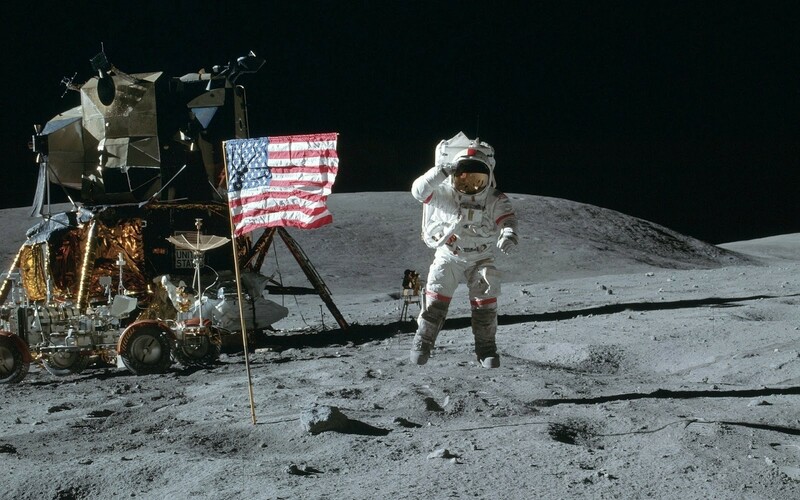 Here is a classic NASA photo of an astronaut showing NO STARS in the sky. That simple fact is, your BRAIN is why you perceive LIGHT, it does not exist outside of a very controlled set of rules that allows the ILLUSION OF LIGHT to exist within your brain. As a child you probably had a few science classes playing with light and a prism. Something with no color (light) magically becomes a rainbow of primary colors when it passes through the optics of a prism. Something that is invisible to our eyes optics suddenly has a rainbow of colors. As soon as the equation has no atmosphere, your BRAIN stops to see the ILLUSION OF LIGHT, since your eyes were NOT DESIGNED to see radiation, it is beyond the spectrum of human eyesight. The human brain and optics of the human eye were DESIGNED to turn refracted ENERGY into what humans perceive to be LIGHT. LIGHT is totally an ILLUSION. So how much of your reality is REAL then? Once you understand everything you think you know is WRONG and your reality based on how you perceive things due to how your brain and eye optics were DESIGNED you realize that life is purely ILLUSION. In an ILLUSION the earth can surely be flat and in fact it could be nothing but a complex equation racing around a 6 or 10 dimensional AI computer giving the entire earth an existence based not on physical properties but that of programmed or a HOLOGRAPHIC EARTH. The scientific fact is all things we perceive as ‘matter’ are 99.99% empty, that is what a molecule really is, 99.99% empty space. Yet our brain is designed to give a solid appearance to things we perceive. If your brain was not perceived to give solid appearance to things that are 99.99% empty, your hand would pass through solid items that we perceive such as tables and walls and even the earth. We simply are programmed to THINK things are solid even though scientifically they are not, they are made up of molecules that are 99.99% empty.